The SaaS law of averages suggests 40-60% of people who sign up for a free trial of your software will use it once and never come back. Today we’re releasing the Nurture Starter Kit, our guide for getting new signups beyond the free trial. However, people largely abandon free trials for reasons which are within your control: they did not see the value from interacting with your software. You can increase their chances of success by a) making your software better and b) improving your communication with them. 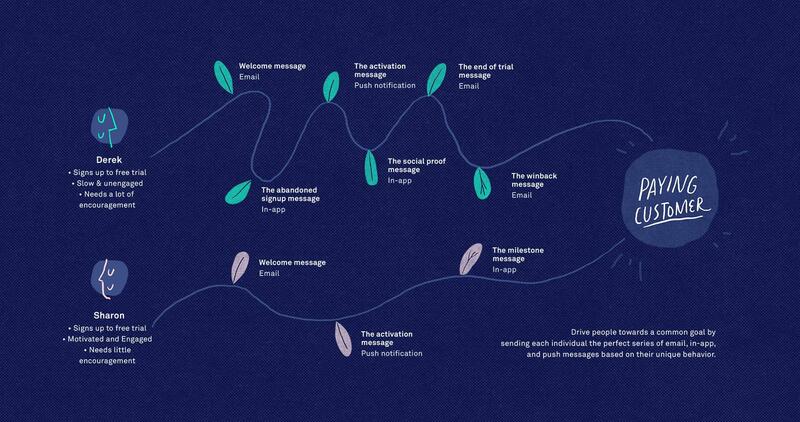 Our Nurture Starter Kit is aimed squarely at the latter – how can you design a messaging campaign so impactful, that becoming a paying customer is the obvious choice? Several factors contribute to a good nurture messaging campaign. The first is basing it around behaviour. We genuinely believe that timed based drip campaigns are a thing of the past, so we’ll outline how to craft the perfect series of triggered, action-based messages to take your free trials from signed up to successful. The second is sending messages that show customers the value of your product. Too often, businesses rely on one-size-fits-all email blasts that ignore the fact that different customers have different definitions of success. Dumping them all into the same customer success flow doesn’t make any sense if you want to maximize your chances of converting them into paying customers. 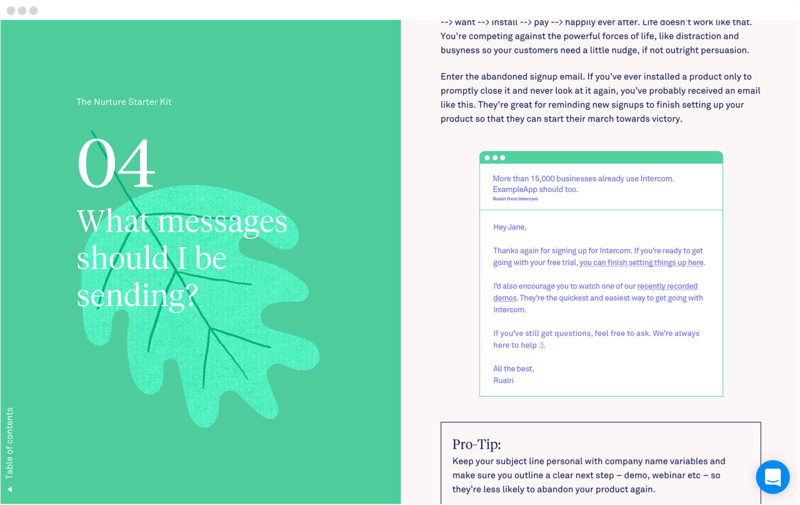 We’ve included half a dozen good messages you can send, but as always, our intention isn’t to provide a cookie cutter solution, but instead to stimulate ideas and encourage a new way of thinking around how you’re communicating with your customers. To access the guide, simply head this way and start creating your message schedule today. A well thought-out campaign is vastly preferable to radio silence followed by a “your trial’s about to expire!” email the night before they need to make the decision to pay or go. Thanks to the Intercom Brand Design Studio for their help designing the guide.